Get your graphic genius right in the shape of this stupendously surreal and skillfully integrated with A-class craftsmanship. You are looking towards a neatly performed personify with a high-end touch of our Valkyria Chronicles 4 Coat makers. Every tidbit of detailing on this outfit is a hands’ drift finale when it comes give you an out-and-out masterpiece to put on. 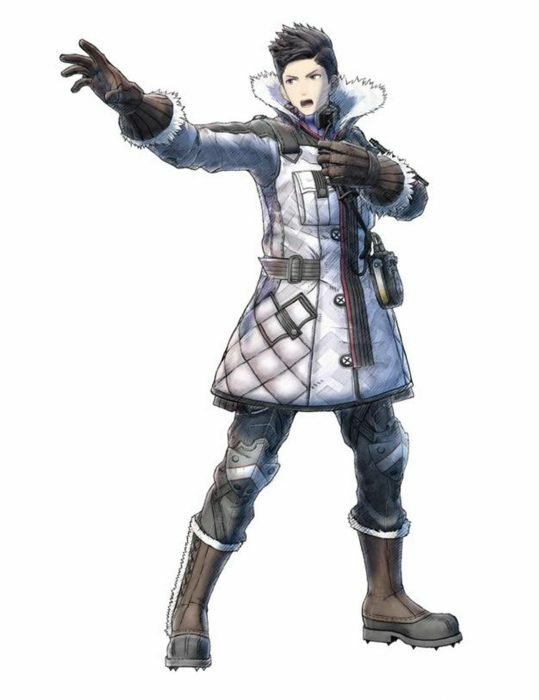 Some specifications loaded on this topnotch Valkyria Chronicles 4 Jacket comprises superb entails. An inner viscose lining that gives you a cool n ‘calmed composure, the mild blue color divulges a tint of steely grey together with a white shade over the outfit. Overall, this ladies attire is the perfect cosplay trendsetter for girls weird from other girls. Simply, because they play games. For real.